Photo by Lapua’s Adam Braverman. Lapua match ammo was used by many competitors. The NCAA Rifle Championship was held at Ohio State University March 10-11, 2017. The team National Championship went to the powerful West Virginia University squad. The No. 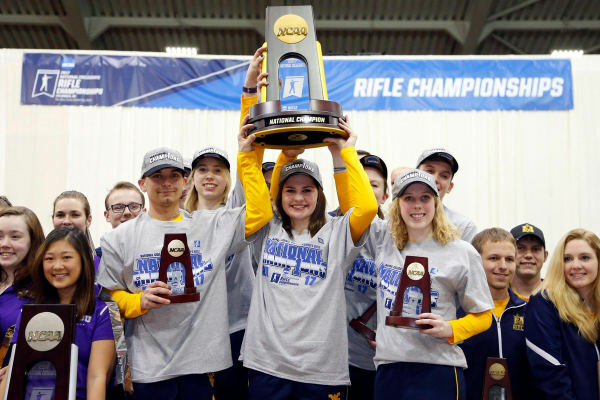 2-ranked WVU Mountaineers rifle team claimed its fifth straight NCAA title in commanding fashion, shooting a championship-record 4723 Aggregate score at Ohio State’s French Field House. This was the Mountaineers’ nineteenth national championship, a remarkable record of excellence. WVU shooters also secured top honors — the individual titles were both won by West Virginia freshman. Morgan Phillips won the small-bore titles on March 10, 2017. 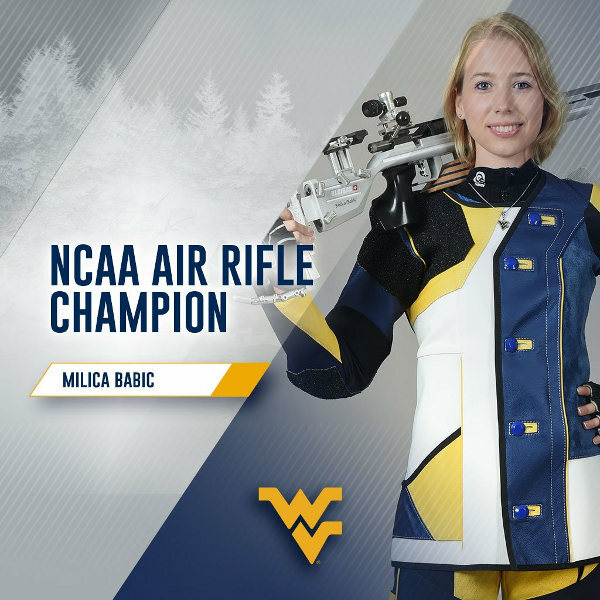 Milica Babic won the air rifle championship the next day. 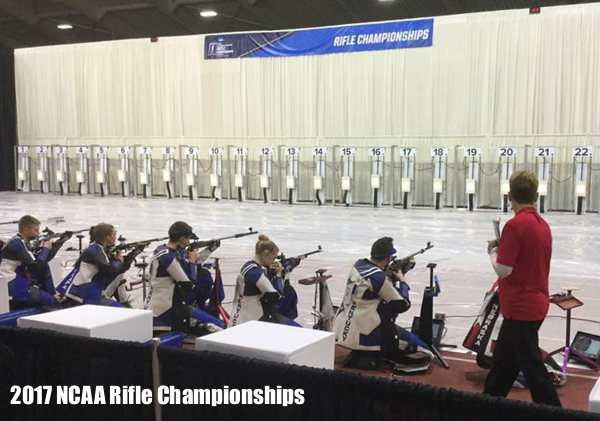 The NRA Blog has listed some of the more important rules in effect for the NCAA Rifle Championship. The 2017 NCAA Championships used electronic targets, with monitors at each shooting station. That allows spectators to view the scoring in real time. For air rifle, shot at 10 meters, and smallbore, shot at 50 feet, all NCAA competitions using electronic scoring targets shall comply with USA Shooting Rule 6.3.2 and be at least ISSF Phase I approved. NCAA shooters aren’t worried about magazine capacity. Only single shot rifles that must be manually loaded before each shot are permitted in competition. Additionally, only one rifle can be used in the Elimination, Qualification and Finals rounds of an event. The action, barrel and stock cannot be changed, but the shooter can swap detachable buttstocks or accessories (subject to 8kg weight limit). Share the post "WVU Mountaineers Win Fifth Straight NCAA Rifle Championship"